In the modern era of unmanned military planes, satellite imaging, and digital communication, it often feels as though personal privacy is fading into the past. Even local authorities can now use technology to do things James Bond would have only dreamed of twenty years ago. As it becomes increasingly simple for police to gain access to loads of personal information in criminal cases, some have wondered where the line will be drawn between necessary criminal investigation and unjust violations of privacy. The United States Supreme Court has begun to tackle the issue. 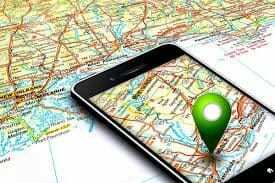 In January 2012, a unanimous decision was handed down in the United States vs. Jones case which determined that police must obtain a warrant in order to use GPS tracking in criminal investigations. U.S. vs. Jones is great news for private citizens and their criminal defense attorneys. Authorities suspected Antoine Jones of selling drugs and subsequently attached a tracking device to his car without his knowledge or a court order. After discovering that Jones made frequent trips to and from a house where authorities found a substantial amount of illegal drugs, they presented the GPS records as evidence against him. The trial court allowed the evidence to be admitted, essentially allowing for any and all law enforcement agents to track a car whenever they desire for whatever reason. Fortunately for Jones’ criminal defense – and for champions of civil liberty everywhere – the Supreme Court reversed that ruling. Before this decision, federal, state, and local police, had the authority to use GPS tracking to investigate the activities of anyone they pleased. This may have often been in pursuit of criminal charges against the person being tracked, but before requiring a warrant for such tracking there was no way to ensure that police were using this authority fairly or with appropriate discretion. Now, when police wish to track the movements of any person suspected in a crime, they must first establish a reason for doing so in court. While we’d like to believe that our law enforcement agents continuously keep the privacy and dignity of citizens close in mind, this is unfortunately not always the case. In criminal investigations, detectives can lie to individuals about the information they have, they can report false lie detector data in order to induce confessions, and are free to employ a surprisingly wide range of seemingly unethical tactics against criminal suspects. But requiring the possession of a warrant for GPS tracking is a welcome policy for criminal defense lawyers everywhere. Modern technology brings many great things to the world of criminal justice, but without decisions like Jones, such as this technology could also mean the decline of individual rights. Fortunately, Jones allows investigators to utilize new technology without overstepping boundaries into a violation of privacy. Bryan|College Station criminal defense lawyer, Stephen Gustitis, has practiced criminal law exclusively since 1990. First as an assistant district attorney with Brazos County and then in private defense practice. He is Texas Board Certified in criminal law and committed to the aggressive and ethical defense of citizens accused of crime.